ComicCon 2011 was another great show. As always, there were TONS of toys for fans of pretty much, well, anything. There were a few though that really caught my eye. 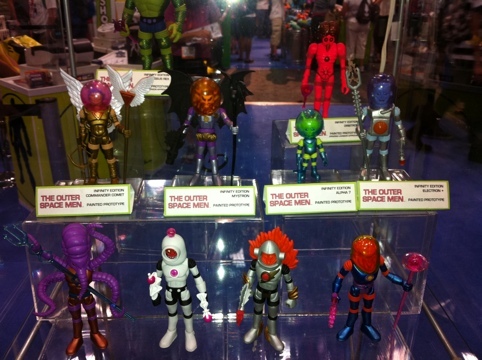 My hands down favorite was the re-release/re-creation of The Outer Space Men. You’ll note the red one, Orbitron, who is the unofficial mascot of the site. I don’t generally by repros of old toys, but with these I may just make an exception. But wait! There is a runner up. Hasbro, which maintains a store on the show floor if you can believe it, did have one toy set I liked. Not a remake, or vintage-ish, but based on one of my all time favorite movies. 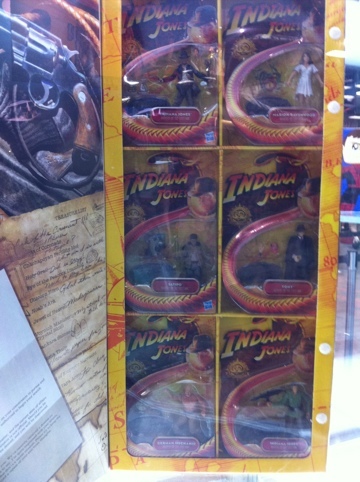 For the low low price of $80, you could pick up a six figure set of Indiana Jones figures. 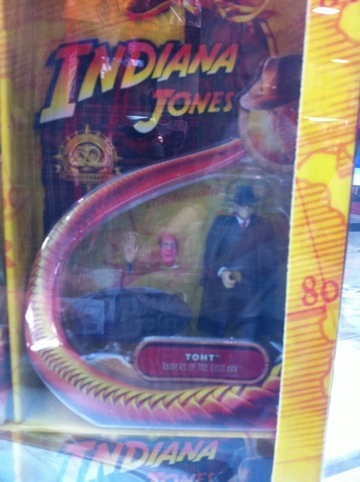 I love Indiana Jones…Be sure to check out the close up on Toht. I’m meeeeeelting! I’m meeeeelting! Toht, he melts, he heils!